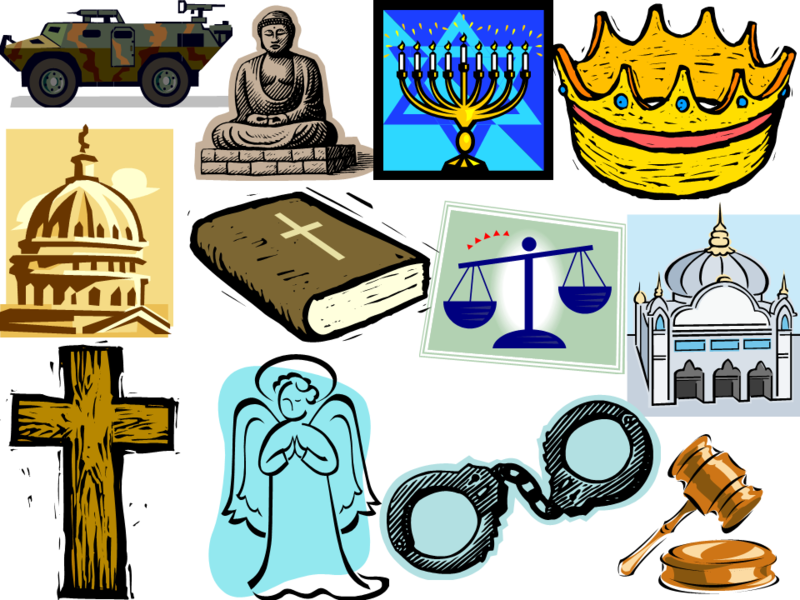 WHAT DOES A CHRISTIAN THEOCRACY LOOK LIKE? insanitybytes22 has an interesting post, Theocracies? Her post takes issue with the notion that Christians should strive for theocratic rule. My guess is that commented on the debate between Russell Moore and Pastor Douglas Wilson because of the sensitivities raised by militant secularists. Militant secularists, even as they strive to force their beliefs on everyone else spend a great deal of effort accusing Christians of trying to force their beliefs on everyone else. When I commented on ‘s post, I observed that Wilson did not take a position quite as extreme as she at first seemed to think. I agree with your thoughts about the matter, but I don’t think Wilson actually said anything wrong. Oddly, I don’t think Moore did either. I just think Wilson took a position that was too contrary and expressed himself poorly. As it is commonly understood, Wilson abused the term theocracy. Here is the definition from => https://www.merriam-webster.com/dictionary/theocracy. The Bible is fairly clear about the fact that our leaders do God’s will. So Wilson went with a bit too far with that first definition. I don’t think Wilson proposes to violate the First Amendment, but he obviously thinks we should select Christian leaders and that we should encourage those leaders to promote Christian values. There is something to be said for what Wilson advocates. However, as you suggest we can take this obedience thing too far. What is too far? That is when we use the government to force other people to be obedient to our own religious beliefs instead of their own. Unless, a citizen is violating the rights of another citizen, government has no good reason to bother him. Respecting religious freedom is in fact a Christian value. Did Wilson propose to use government to impose his beliefs on others? It is not clear that he does. Nevertheless, to some extent government must do that. To operate a government the people must have some kind of shared belief system. Otherwise, it becomes very difficult to make any laws. No laws. No government. Therefore, we want America to be theocratic in the sense that our shared value system is predominantly Christian. In addition, we want Christian leaders who strive to understand God’s will and lead our nation in accordance with God’s will. So it is I think Wilson agrees with you more than you may realize. Wilson did not advocate a formal theocracy led by the clergy. He argued that any government is theocratic. Even the Communists and Nazis were theocracies. These had personality cults and a religious belief in their isms as manifested by the actions of their rulers. Even secularism is an ism. Even secularism suggests a view about God, that He does not matter. Christians can only accommodate secular practices to serve God’s purposes, to permit religious freedom. We cannot accommodate secularism as a belief which allows its proponents to secularize our society. My guess is that that is the concern Wilson was trying to express. replied to my comment. Since she generally seems to be a fan of Pastor Wilson, I think she was happy enough to concede the point. However, she still had some concerns to which I replied. That’s based on Romans, right? “Let every soul be subject unto the higher powers. For there is no power but of God: the powers that be are ordained of God.” I think we misunderstand that, miss the message being conveyed. Clearly our leaders frequently do not do “God’s will.” Hitler for example, was not doing God’s will. However, he did not operate in a vacuum, he was doing the will of many of his people. King Herod was clearly not doing God’s will when he ordered the slaughter of the innocents. But if you think about it, there would have been no Christmas story without him,no census, no born in a stable,no fulfillment of prophecy and being born in Bethlehem. So in a more abstract way you could say, King Herod served God’s purpose. So rather than unquestioning obedience to our leaders, we’re being called to try to see the bigger picture, how God plans to use them, even the bad ones. Do not repay evil with evil. “Be not overcome of evil, but overcome evil with good.” This is a passage telling us to be encouraged in the face of injustice, to take heart, to not respond with armed resurrection. What did the early church and many of the disciples do? Promptly disobey the authorities and preach the gospel, which often cost them their lives. Another of way of saying that is don’t incur their wrath, try to stay alive as long as you can,you have a job to do. I think we are in agreement, and I tend to think those in agreement include Moore and Wilson. Perhaps Wilson is just one of those people who has trouble accepting “yes” for an answer. I fear most of us have been one of those people. Much of the Bible is about history and what various rulers have done. Consider the story of Joseph in Genesis, how his brothers sold him into slavery and how Joseph rose up to become second only to Pharaoh. When he met his brothers again, what did Joseph tell his brothers? Was it not that what they had intended for evil, God intended for good. How did God use Hitler and Stalin? I don’t know for certain. Romans 8:28 is something God does, but what He does is more than I can understand. Yet consider this exchange. God had determined that Jesus would be crucified, and Pilate would be weak enough to order His Son’s crucifixion. Therefore, He appointed Pilate to rule. For the most part, rulers do more good than harm (as Romans 13 suggests). Yet even when they do harm they do God’s will. Ask the Jews. God used the Assyrians and Chaldeans to take Israel into captivity. Later, in 70 A.D., the Romans tore down Jerusalem and Herod’s Temple. How did God use Hitler and Stalin? We can only see what happened. After WWI, England and France vindictively punished Germany. After WWII, they dared not do that again. In addition, there is once again a nation named Israel whose capital is Jerusalem. I would dearly love to be able to say I understand what God is doing. I don’t. Even the Apostle Paul had to admit his ignorance. Just as Paul accepted his ignorance in faith, hope, and love, we must do the same. Would it not be great to establish a Christian theocracy? Would that not be much better than a Secularist or Atheist theocracy? No. It would have the same problem. We would presume too much. We would have to violate the rights of our fellow human beings. As observed in her post, as Christians we are only the fishers of men “we catch ’em, He cleans them.” None of us has either the power or wisdom to clean another’s soul. I don’t know how you do it Ctom, put these things together with such consistency. I know I know you will say you are merely trading on the talents of others, yet it’s no small feat to weave so many ideas, only to make the whole thing stronger. In all this, man is completely responsibility, yet touching not the sovereignty of God. No contradiction. At all. That is so amazing yet He does it. Well done,Tom. Thanks for tackling this issue. Atheists seem to have a religion of their very own and secularism can indeed become a theocracy of sorts. We tend to call it fascism or communism, but whatever we call it, it’s often an unpleasant thing to have to live under. Some people try to accuse Christians of wanting a theocracy, and while there are a tiny handful that lean in that direction, for the most part faith is actually anti-theocracy. One thing that jumps out at me is an awareness of sin. The system of checks and balances our founding fathers setup had a lot to do with understanding the nature of people and potential corruption. Freedom in Christ is another concept that makes it not conducive to theocracy. We Christians can get it all wrong, but not for long. History is full of examples of people eventually breaking free. The US herself was founded in an escape from theocracy. The US herself was founded in an escape from theocracy. All we can do is try to make them aware of “this or that,” providing someone is willing to read or listen.